Need help hitting your goals? Would $36 billion help? Melinda was using her smart prospecting skills targeting local businesses based on retail categories with excellent co-op funding available. During her Client Needs Analysis, she discovered that some prospects knew they had co-op monies available, but weren’t sure how co-op worked. Leveraging the resources available in the RAB Co-op Directory, Melinda educated her clients, helped them navigate the co-op process, and landed nearly $10,000 of dollars in new business. Radio is a preferred venue for big brand co-op advertising, according to a new report from research firm Borrell Associates and technology company Netsertive. In addition, the number of local businesses who prefer to use their co-op monies in radio over other media is increasing rapidly. At the Radio Advertising Bureau, we credit radio’s growing co-op funding success to the fact that our 6,000-plus members have access to the most current and comprehensive co-op information available today. The RAB Co-op Directory is one of the most popular destinations on RAB.com. Radio sellers know they can access current co-op information on over 9,000 listings in more than 60 retail categories. RAB’s Co-op Directory also includes broadcast-ready scripts for many brands, local dealer locator links, forms for filing claims, and detailed terms and requirements. While most manufacturers still favor traditional media, like radio, and allocate their vast pool of co-op dollars accordingly, local advertisers are increasingly turning their attention to digital platforms. 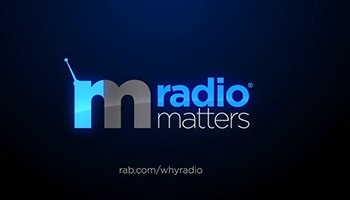 Thousands of radio stations are developing their digital assets and sales efforts to provide effective digital solutions for their clients, and the RAB is supporting these efforts enthusiastically at all levels. The RAB Co-op Directory provides all RAB members with direct access to manufacturers’ digital co-op information, and many of the plans include co-op-ready digital ads for direct download. According to the new Borrell/Netsertive report, many local businesses are frustrated by the paperwork required by manufacturers for co-op use. It’s one of the top reasons that over $14 billion in co-op money goes unused each year. A portion of radio’s popularity for using co-op is the willingness of radio sellers to facilitate the forms and reimbursement. Another hindrance for local businesses is being unaware of special co-op sales promotions. RAB members using the RAB Co-op Directory hit the co-op Sales Leads tab every Monday for a hot new co-op sales promotion to take to a client. For radio sellers who’ve not been actively pursuing the $36 billion in available co-op funds, RAB’s co-op directory also has a tutorial section with Getting Started guides and videos, and glossaries to reference basic co-op terms, step-by-step directions, and other startup information. RAB members have the inside track to grow their revenues by millions of dollars by using co-op funding aggressively. As always, RAB’s Member Response team stands by to help you make the very most of your radio sales efforts. You can do it... we can help!